CHICAGO — For energy geeks in the Midwest, the idea of pairing the region's vast wind resources with electric vehicles represents a sort of grid nirvana. Doing so could help slash tailpipe emissions, which have proven a tougher climate dilemma than coal plant pollution. And it could have even broader economic and consumer benefits. "If we do this right. If we're really thoughtful about this, we can save money not just for EV drivers, we can drive down rates for everybody," said Mathias Bell, EV program lead for Minneapolis-based Xcel Energy. The vision — big cities with EVs powered by turbines dotting the Great Plains — is widely shared. But how to get there isn't clear just yet. EVs represent 1 percent or less of cars and trucks sold in the region today. And while sales will grow as automakers roll out dozens of new models next year and beyond, consumers must charge their cars and trucks at night when the bulk power grid is flush with cheap, clean wind energy. Overcoming those barriers to EV adoption is what brought utility and auto executives, environmentalists, and state and local government officials to Chicago yesterday for an EV summit hosted by the St. Paul, Minn.-based Great Plains Institute. The nonprofit two years ago organized a group of two dozen companies and advocacy groups across the Midwest to find common ground in the effort to help slash carbon emissions from the transportation sector. The Midcontinent Transportation Electrification Collaborative (MTEC) released its second "roadmap" yesterday with policy recommendations to help drive EV penetration in the Midcontinent Independent System Operator's (MISO) grid footprint. The study followed a similar effort aimed at carbon emissions from the power sector. MTEC members include utilities such as Xcel Energy, Ameren Corp. and MidAmerican Energy Co.; automakers General Motors and Ford; state agencies; charging equipment providers; and environmental groups. The roadmap is the product of modeling using data from participants, including the utilities. It shows unequivocally that electrification of transportation provides environmental and consumer benefits, even in the Midwest, where coal still fuels much of the region's electricity. Offer purchase incentives, such as rebates, to offset upfront costs of EVs. 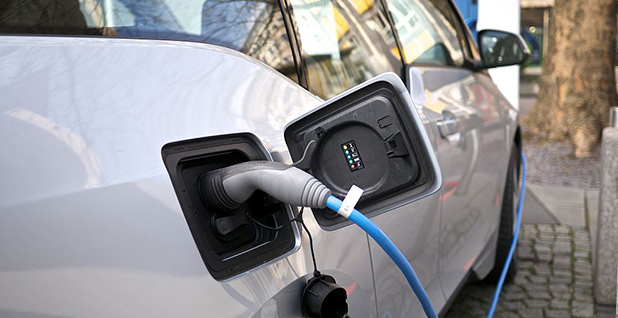 Work with regulators and utilities to ensure there's adequate charging infrastructure. Establish utility rate structures and managed charging programs to maximize grid efficiency. Educate consumers about the benefits of EVs. Update building codes to make sure new construction is EV-ready. Implement policies to emphasize mass transit and other initiatives to reduce vehicle miles traveled. The timing of the report and its recommendations, some of which require policy changes, was purposefully coordinated with the start of state legislative sessions and the turnover in administrations, said Franz Litz, program coordinator for the Great Plains Institute. States such as Illinois, Michigan, Minnesota and Wisconsin all have new governors and each of them have emphasized the need to cut carbon emissions. In fact, just yesterday, Illinois Gov. J.B. Pritzker (D) joined the U.S. Climate Alliance. Electrification of transportation — from cars to buses, heavy-duty trucks and delivery vehicles — is seen as a core part of addressing climate change. That's especially true in light of the fact that tailpipes now emit more heat-trapping carbon dioxide than power plants. But realizing those benefits will rely on getting more EVs on roads. And how soon that happens is anyone's guess. "We honestly don't know an answer for this question," Litz said. "What will spur widespread adoption?" An often cited obstacle to EV adoption is a lack of charging infrastructure, commonly referred to as range anxiety. According to a National Renewable Energy Laboratory report last fall, the states represented by MTEC had 157 DC fast plugs, and a twentyfold increase would be needed to support the EVs expected to be on the road by 2030. Phil Jones, executive director of the Alliance for Transportation Electrification, a group of utilities, auto companies and other EV industry players, said the charging infrastructure isn't keeping up with what's needed. "We have a huge infrastructure gap in my view. I think it's growing pretty rapidly," said Jones, a former state utility regulator. Another frequently cited barrier to EV adoption is a lack of vehicles available to consumers today, especially outside of California. But Michael Hughes, chief commercial and revenue officer for EV charging company ChargePoint, told the audience at yesterday's summit that lack of choice in EV models won't be an issue for much longer. "That problem will solve itself in the next couple years, and in the luxury vehicle side I think it's already happened," he said. "I think we're at this tipping point." Spencer Reeder, director of government affairs at Audi of America, agreed. The automaker, which announced its all-electric e-tron luxury SUV in September, began running television ads for the vehicle during the NFL's NFC Championship game on Sunday. It will also run an ad during the Super Bowl. "Audi is going full bore with a 50-state strategy to sell this vehicle," Reeder said. By 2025, Audi intends to have 20 electric models in the market and sell 800,000 EVs annually in the U.S. — or about a third of its total sales. "We're betting the farm, frankly, on a lot of this stuff," said Reeder, who previously ran the energy and climate program for Paul Allen's Vulcan Inc. "We're all-in." Rohan Patel, director of policy and business development for Tesla, said engaging consumers, along with sustainability, is core to the company's strategy. "The customer experience on everything is paramount," said Patel, formerly a senior adviser for climate and energy policy in the Obama administration. During meetings, Tesla managers ask "is this fun, cool or exciting for the customer? If it's not let's throw it in the dustbin." The task of reducing carbon pollution through electrification goes beyond just getting EVs on roadways. Economic modeling for the EV roadmap showed that maximizing the benefits of the cars means getting consumers to plug them in during off-peak hours. Doing otherwise would increase reliance on fossil fuel plants, increasing emissions and costs. In the same way, managing this growing demand on the grid the right way can benefit consumers, whether or not they own an EV, by making better use of power plants and transmission lines that otherwise go unused. "It really matters when EVs are charged, especially when we get to higher penetration levels," Litz said. "Because we have a lot of wind in this region, late-night charging does a lot to smooth peaks." A theme throughout yesterday's summit was the need for further collaboration among utilities, states, automakers, charging hardware and software companies, and other parties. Norman Saari, a member of the Michigan Public Service Commission, stressed the need for urgency in developing public policy, even in Midwest states where there are relatively few vehicles on the roads. The 16,000 EVs in Michigan today, driving about 12,000 miles in a year, are using the same amount of energy as 6,800 homes, he said. Using estimates from Bloomberg New Energy Finance, there could be 150,000 EVs on the state's roadways by 2024. That's the equivalent of 66,000 homes. Said Saari: "If you don't have public policy that addresses that impact today and in the future, then you're not doing your job."